Is your mood a result of sleep deprivation or is sleep deprivation a result of your mood? The answer, in short, is both. 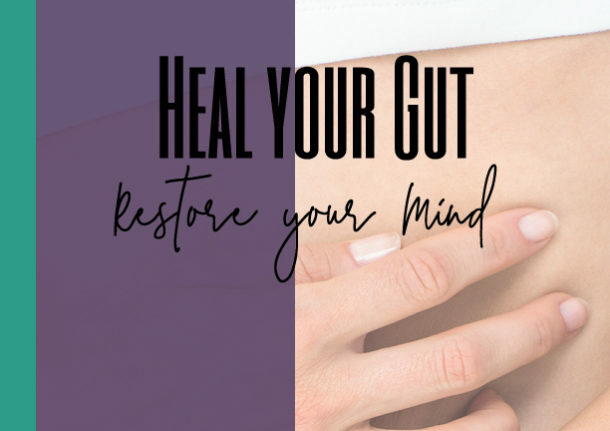 You may already be experiencing anxiety or stress in your life, which causes your body to be hyper-aroused and making it difficult to fall asleep. This chronic stress can lead to insomnia and in return insomnia can lead to mental health disorders. A study conducted on 10,000 adults showed that individuals experiencing insomnia were five times more likely to develop depression, and 20 times more likely to develop an anxiety disorder4 . Poor sleep habits are also linked to an increased risk for heart disease, reduced immune system, weight gain and memory issues 2 . A study conducted on the effects of learning and the REM (Rapid Eye Movement) sleep cycle showed that those who were taught a skill and then deprived of the deep sleep of REM were less likely to recall the skill than those who had achieved full REM sleep. 4 .It’s no wonder we feel so groggy in the mornings after a lousy night’s sleep where we fail to reach the deepest level of our sleep cycle. Why is it so important to develop healthy sleeping habits? Even partial sleep deprivation can significantly affect your mood. A study conducted on persons who were limited to four and a half hours of sleep a night for a week resulted in individuals feeling stressed, angry, sad, and mentally exhausted. 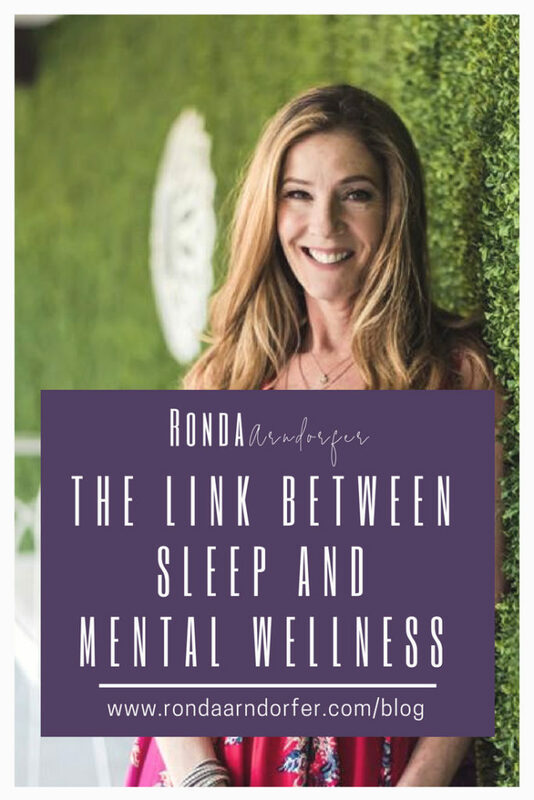 Once they returned to their normal sleeping habits their moods dramatically improved.1 It’s not always possible to get the full 8 hours of recommended sleep every night, but the longer it takes us to get back on schedule or to develop proper sleeping habits, the more significant impact it will have on our mental wellness. 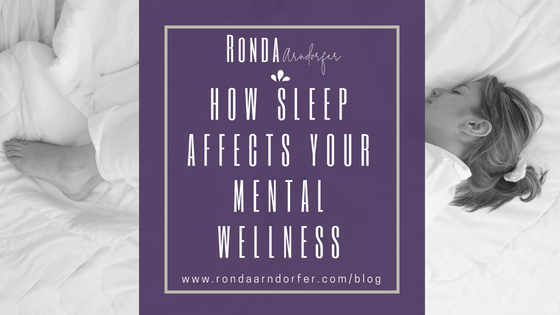 The better sleeping habits we develop the better our mental wellness will be, ask yourself the next time you’re feeling irritable or have a hard time concentrating, “how well did I sleep last night”? You may find the answer to your bad mood is as simple as I need more sleep. Dinges, D. et al., Cumulative Sleepiness, Mood Disturbance, and Psychomotor Vigilance Decrements During a Week of Sleep Restricted to 4 – 5 Hours Per Night, Sleep. 1997 Apr; 20 (4): 267–277.2.Nofzinger, E., Functional Neuroimaging of Sleep, Seminars in Sleep Neurology. 2005 Mar; 25 (1): 9-18.3. “Get Enough Sleep.” Mental Health America. N.p., 04 Feb. 2014. Web. 23 May 2017. 4. Publications, Harvard Health. “Sleep and mental health.” Harvard Health. N.p., n.d. Web. 23 May 2017.